They are one of the greatest marketing tools in the iGaming industry: online casino jackpots. 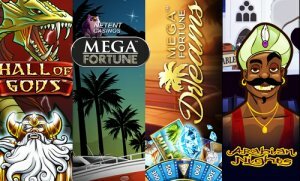 Especially those jackpots that are pooled which simply means that they are linked to a network of online casinos as this is the case with Mega Fortune™, Mega Fortune Dreams™, Hall of Gods™, and Arabian Nights™. All of them are pooled online casino jackpots powered by NetEnt and all of them can now be found in the top 10 online casino jackpots. What’s up with the pooled NetEnt Jackpots? The NetEnt Jackpots are extremely popular thanks to their ability to rise in full speed going into the many millions. The largest NetEnt Jackpot ever paid out the incredible amount of €17.9 million and was featured in the Guinness World Records for a record-breaking payout until it got beaten with only a few thousand euros. Having a look at today’s NetEnt Jackpots, I don’t think that the current record will be broken anytime soon with the highest casino jackpot showing €6.7 million. This highest online casino jackpot is not powered by NetEnt but that doesn’t make them less popular. Not at all with al four pooled NetEnt Jackpots being back in the top 10 online casino jackpots, showing that they still rule the industry. At this very moment, the highest NetEnt Jackpot is offering players at the NetEnt Casinos a chance to win an amazing €6 million. It’s the Hall of Gods™ Jackpot that has been growing for almost 30 weeks now, becoming the second largest online casino jackpot. 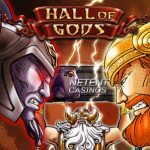 While the Hall of Gods™ Jackpot can be found on #2 of the top 10 highest online casino jackpots, the next NetEnt Jackpot is shining from spot #5. It’s the most popular NetEnt Jackpot and the fastest-growing, but it has been only 7 weeks and 6 days ago that this online casino jackpot powered by NetEnt was won. 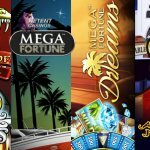 It’s therefore that the Mega Fortune™ Jackpot didn’t really have a chance to grow higher than the current €3.1 million. 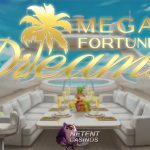 Not far from its predecessor, you’ll find the Mega Fortune Dreams™ Jackpot which is positioned on #6 of the top online casino jackpots right now. This pooled jackpot powered by NetEnt was won 7 weeks and 5 days ago which is 4 days later than the Mega Jackpot linked to the Mega Fortune™ slot. This NetEnt Jackpot managed to climb up to an incredible €2.8 million already, very close to its predecessor. It’s the oldest pooled jackpot powered by NetEnt and was launched in May 2005. After 12 years of jackpot service, the Arabian Nights™ Jackpot seemed to become a real outsider, just until it was today that I found this oldy back in the top 10 highest online casino jackpots on #10. This NetEnt Jackpot grows steadily and much slower than the other three pooled jackpots, but that you can’t just ignore this jackpot because of it, is proved by the €2 million jackpot. It’s because of this €2 million Arabian Nights™ Jackpot that all NetEnt jackpots are now in the top 10 highest online casino jackpots, a given that these four pooled jackpots still rule the iGaming industry together worth a dazzling €14 million! 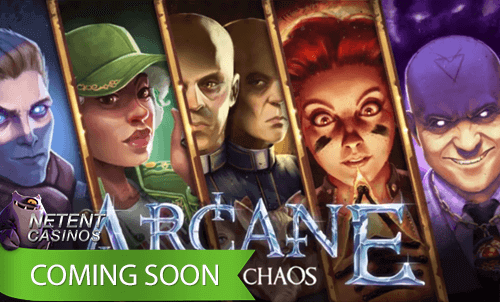 For the moment, I can highly recommend the Hall of Gods™ Jackpot of €6 million or the Arabian Nights™ slot since it has been 35 weeks since the moment this jackpot is usually won.